MANILA, Philippines – Today (23 June 2016), the Department of Justice dismissed the complaint of a tanim-bala or bullet-planting scheme victim against two airport personnel and four police officers. American missionary Lane Michael White earlier filed a complaint against Office for Transportation Security personnel Marvin Garcia and Ma. Elma Cegna and Philippine National Police-Aviation Security Group operatives Police Insp. Adriano Junio, SPO4 Ramon Bernardo and SPO2 Romy Navarro and Rolando Clarin. There is a need to examine the evidence to prevent material damage to the constitutional right of the accused. Associate Prosecution Atty. Honey Rose Delgado said. "It is, therefore, imperative for the prosecutor to relieve the accused from the pain and inconvenience of going through a trial once it is ascertained that no probable cause exists to form a sufficient belief as to the guilt of the accused," Delgado added. 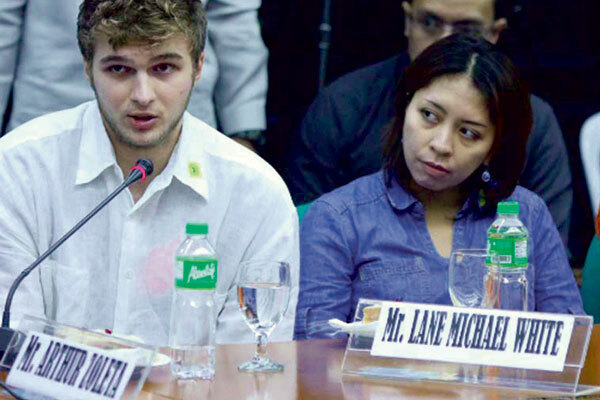 In September 2015, White, his father and Filipina stepmother were held at the Ninoy Aquino International Airport Terminal 4 after airport security allegedly discovered a bullet in his luggage. White was held for five days at the PNP detention center after refusing to give PhP30,000 to airport personnel in exchange for his immediate release.